I was a lager drinker when I was younger, but I can’t stand the stuff these days. 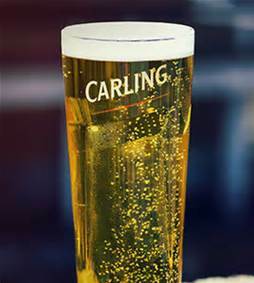 Firstly, there is little choice of lagers in most British pubs, - it’s Carling or Skol and little else, and then there is all that gas! 'Downing' a pint almost blows your head off! It seems I‘m not alone, as apparently it's curtains for lager in the UK. According to a new report from market analysts Mintel, British drinkers put away a few less million pints of it last year than they did the year before, while sales of ale and craft beer are on the up. But don't take those headlines at face value. There is no death knell sounding for lager as a beer style. (Imagine the screams coming from the Czech Republic and Germany if that were the case). According to the popular press, people are simply becoming more fussy - or rather more discerning - about what they drink, and it's highly likely some of those fore-mentioned craft beers are lagers. 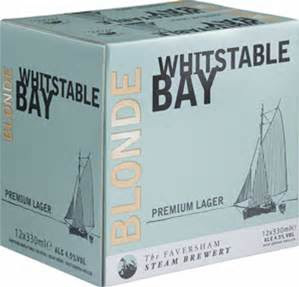 Plenty of so-called craft brewers, not to mention traditional ale brewers also make a lager. Some have done so for years, others have added it to their range in more recent times but, take it from me; it's there, though you may have to look for it. And just because somebody tells you they prefer craft beer doesn't mean they don't also drink lager. Craft beer has become very popular, but does include lager. The sales of lager that are falling are those of mass-market beers, brewed on an industrial scale, the flavour of which most palates would struggle to distinguish between. This is just another sign that drinkers care more and more about where their beer comes from and how it's made. They want to know the real story behind a beer, not be sold a fairy-tale manufactured by a marketer, such as the one about the all-Australian Foster’s lager that's actually brewed in the UK. This is a juicy, balanced lager with less of a hoppy punch than a traditional pilsner but a great beer none the less. It's perfect for tempting ale fans across to lager with a firm, but not pushy, hoppy character and a persuasive biscuitty aftertaste. 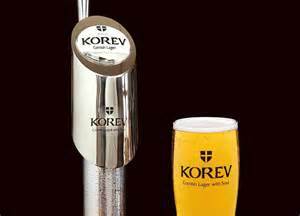 This lager from Cornwall (its name is Cornish for 'beer') is brewed in the style of German Helles lager. Featuring a cocktail of German and Czech hops, the latter perhaps a nod to the home of lager (it was invented in Pilsen in the Czech Republic in the 1840s), it's clean tasting and eminently drinkable. 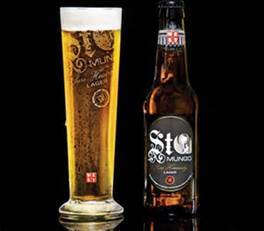 The founder of this Glasgow brewery was born in Bamberg, Germany. So she brings some European lager heritage to this Scottish brew which conforms to the 1516 Reinheitsgebot or German beer purity law - which stated no additives were permitted in beer, just water, malted barley and hops (they weren't too sure about yeast back then but obviously you can't make beer without it). There's a touch of vanilla and very subtle fruitiness to this brew - which lager purists might get in a tizz about - but will please many. England's oldest brewery, famous for its ales made with Kentish hops, also makes a lager (more than one actually but the others are brewed under license for Japanese brewer Asahi). It's fairly easy drinking with noticeable but not especially bitter notes and a hint of floral sweetness. Great for cooling down on a hot day at the seaside, as per its name.